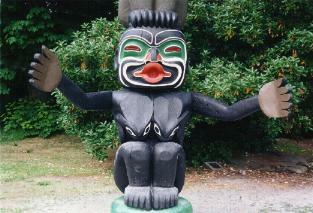 Stanley Park, Vancouver’s first, is an evergreen oasis of 1,000 acres close to the heart of Vancouver’s downtown core. There are many transportation and tour companies that have a variety of tours to show its splendor. Its natural west coast atmosphere offering a back drop of majestic cedar, hemlock and fir trees embraces visitors and transports them to an environment rich in tranquility. The park abounds in wildlife and its features appeal to the naturalist, the plant lover or one who would do nothing more than relax in beautiful surroundings. Thanks for visiting Stanley Park !!! This entry was posted in Stanley Park, Stanley Park Info and tagged seawall, Stanley Park, vancouver. Bookmark the permalink.